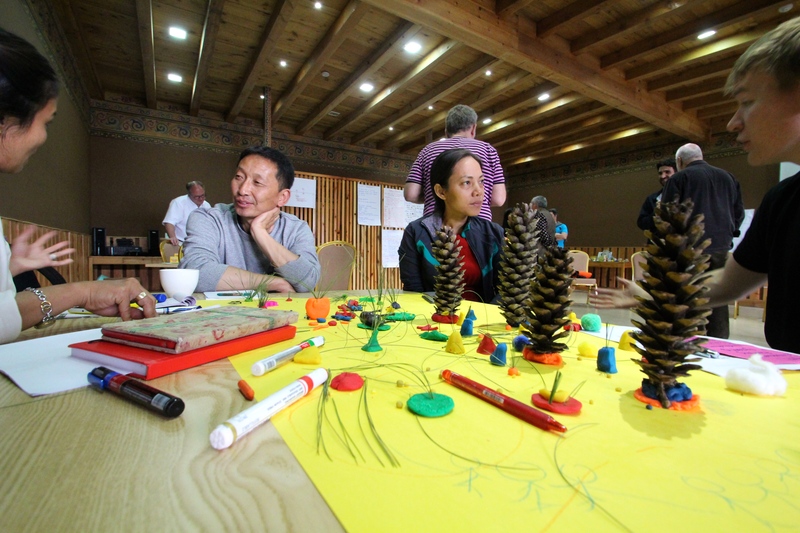 Participants of the Global Wellbeing Lab met in Bhutan in early May for a week-long learning journey, exploring new development paradigms such as Gross National Happiness, and collaboratively evolving their own prototype projects. 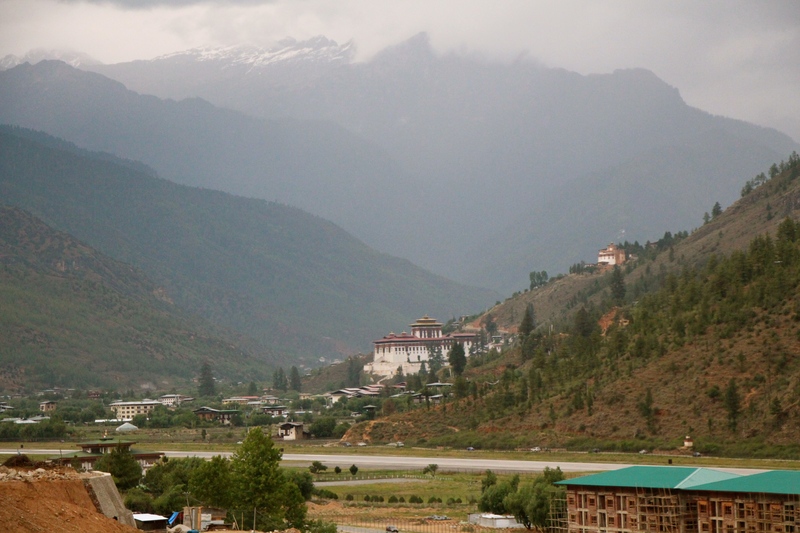 Arriving in Bhutan after the notoriously harrowing landing at Paro airport, a jet-lagged but enthusiastic group of Lab 2.0 participants gathered in a hillside room overlooking the famous Tiger’s Nest Monastery to begin our weeklong Learning Journey. With the intention of keeping the opening day’s program light, the only other activity scheduled for this day was dialogue walks. Participants paired up with one other person in the group and used the time to connect in depth about what had happened in their life and work since the opening gathering in Berlin in February. The day began – as each subsequent day would – with an optional 30-minute meditation session that combined sitting, walking, and mindful movement. While the lab does not promote any particular forms of contemplative practice, these basic mindfulness techniques are seen as one way to spend a little time during the day connecting more deeply to oneself. The morning program offered a time for participants to work in regional groups. Depending on the group, a few weeks or more had passed since they were last together during regional sensing journeys (see earlier posts on this blog for detail). This session was designed as a space for reflections and identification of themes, ideas, and insights that may have emerged since they last met. In the early afternoon, we took a 45 minute walk downhill from where we stayed to visit the Kichuu Temple, an important site that was once home to the beloved Buddhist teacher Dilgo Khyentse Rinpoche. Our visit to the temple was brief. We returned promptly to the hotel, for at 4pm, the former Prime Minister of Bhutan, the Honorable Jigme Thinley, would arrive and spend the remainder of the day sharing his experience as one of the chief architects and advocates of GNH in Bhutan. After sharing prepared remarks, we had the opportunity for questions, and informal time to interact over dinner. In the evening, the former Prime Minister joined Otto Scharmer for a fireside chat about the current challenges facing our societies and economies, and the nature of leadership needed in the 21st Century. 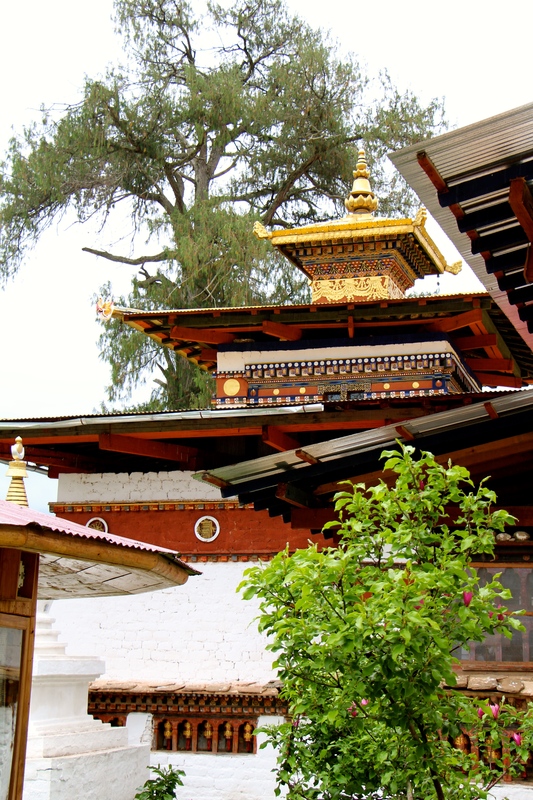 The day began with a trip to Thimpu, the capital city. We traveled the single lane mountainside highway, Bhutan’s best road, sharing stories while taking in the valley and river views below. 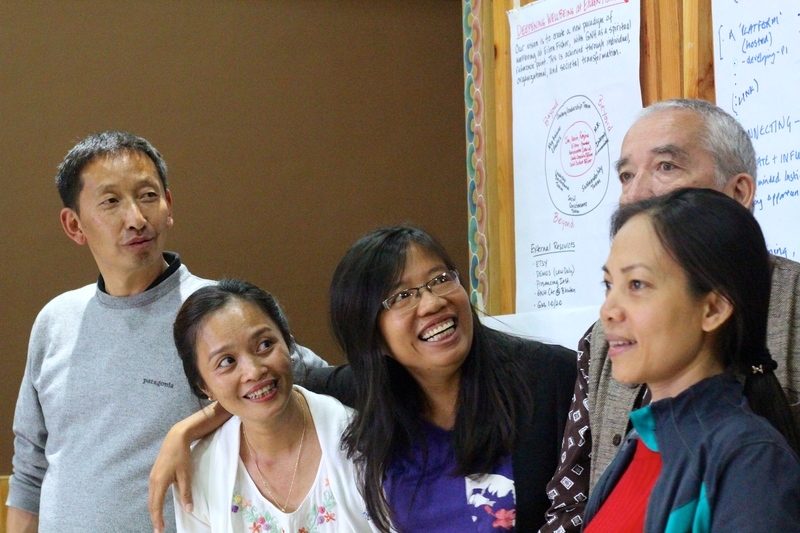 What are the deeper values underlying GNH and how relevant are they for other countries and contexts, featuring Dr. 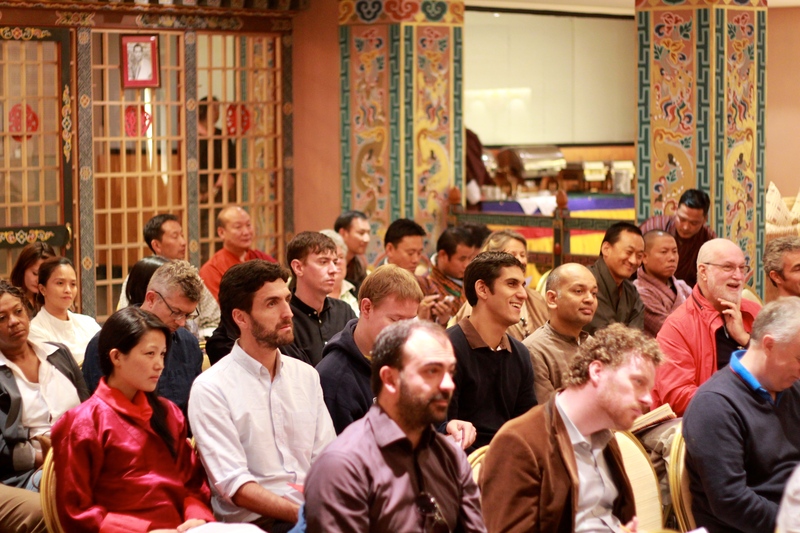 Karma Phuntsho of the Loden Foundation, and Lab participant Dr. Dorji Thnley of Royal University of Bhutan. 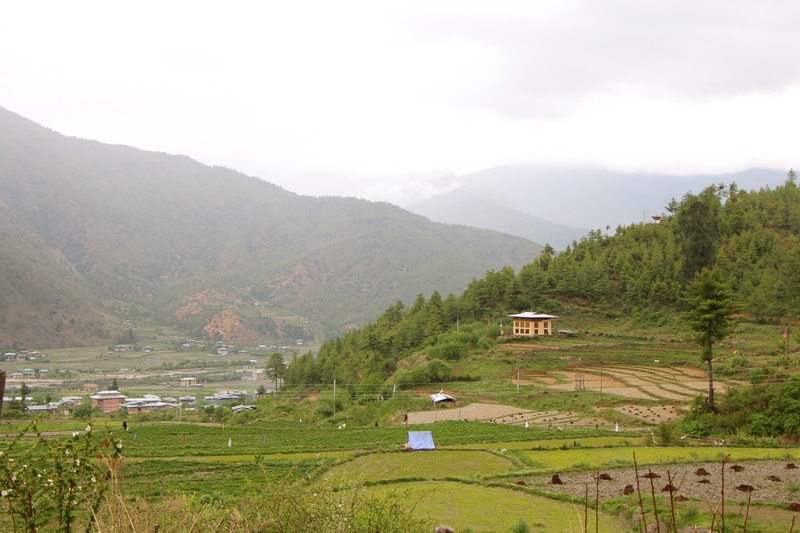 GNH in society, featuring representatives from the Bhutan Centre for Media & Democracy, the Bhutan Media Foundation, and Lab 1 participant Karma Yonten of Greener Way. We were fortunate that nothing was damaged and nobody was injured. When we saw the news and learned that the quake had originated yet again in Nepal, our hearts were heavy for the additional suffering so close by. 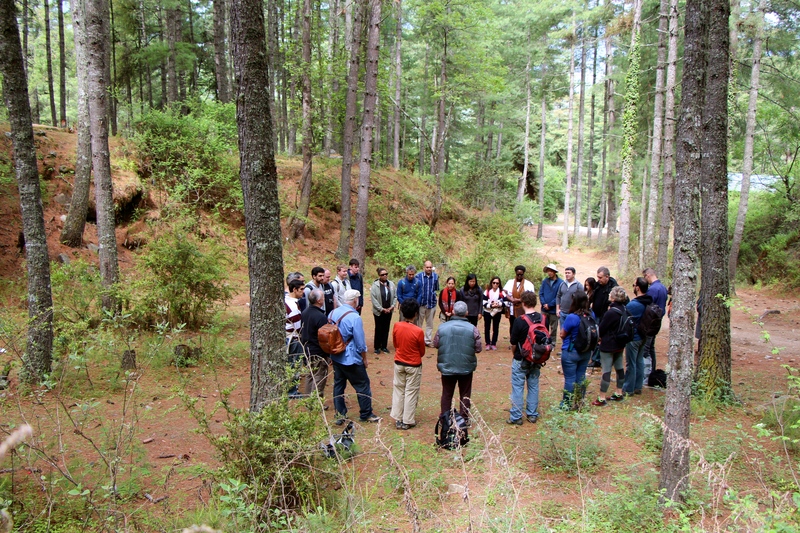 That afternoon, the participants split into different groups for mini-sensing journeys into GNH-related initiatives Thimpu. One group visited a school whose curriculum is built around GNH; another visited a traditional medical hospital; a third visited Bhutan’s first comprehensive waste management program, Greener Way; and another visited a member of Parliament. In the U process, sensing (going to places of most potential, observing with an open mind and heart) is followed by time to retreat, reflect, and allow the deeper sources of knowing and inspiration to emerge. For this part of the process, we chose to visit the Tiger’s Nest Monastery and the beautiful surrounding forest. Some participants chose to hike to the Monastery, which is built into the face of a cliff, while others simply found a quiet place in nature to be with themselves for a few hours and reflect. 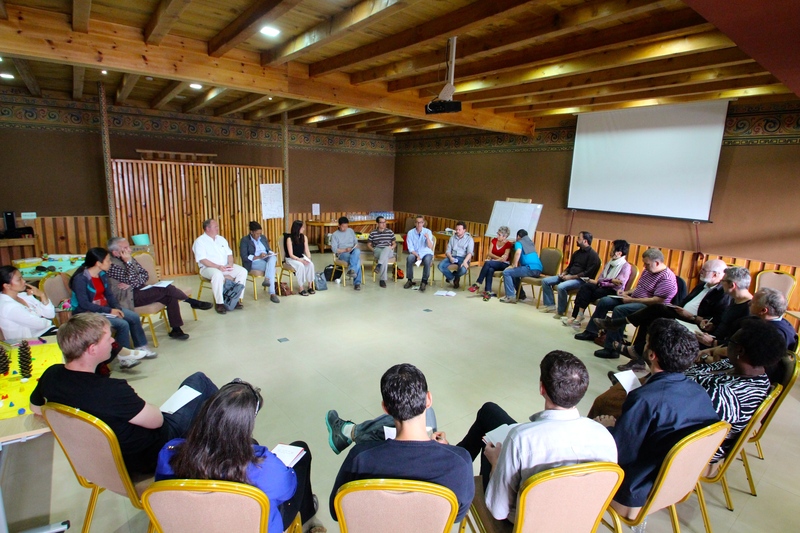 When the group came back together in the evening, we met in a circle to share experiences and insights. The second to last day of the program was dedicated to crystalizing and prototyping the future that is wanting to emerge. The morning began with an introduction to the process of moving from inspiration (presencing) into crystallizing and then prototyping. Otto then led the group through a 17-step guided journaling process, which is a method for exploring the two root questions of creativity – namely, who is my Self? And what is my Work? Following the journaling exercise, pairs or trios were formed in what were called “resonance-clusters” – which led to the formation of larger self-organized groups that came together around areas of interest or resonance. 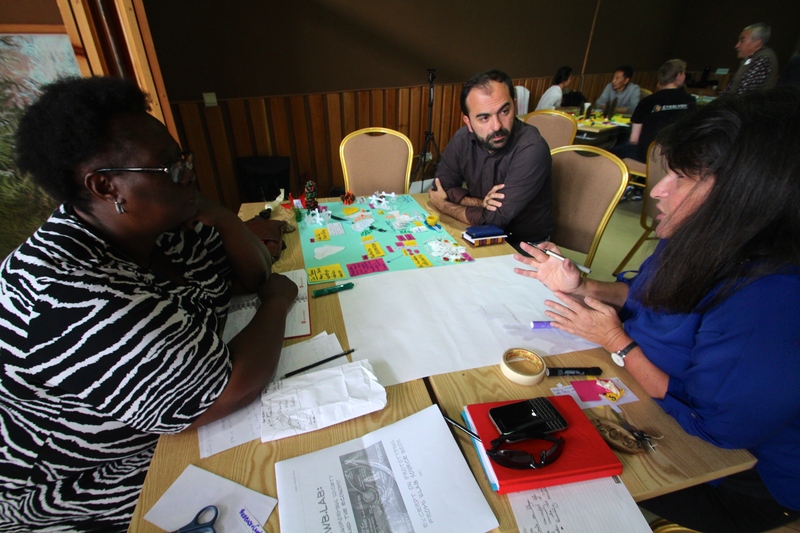 This gave participants the option to either stay with their regional groups for prototyping, or if they felt a stronger pull to team up with participants from other regions, to do that instead. The groups spent the afternoon building “3D models” of their prototype ideas using materials such as clay, toy figures, twist-ties, and more. These models represented the emerging ideas each group had committed to work on over the coming months – ideas that, as they develop from idea / model into concrete actions, will be shared on this blog in the weeks and months to come. 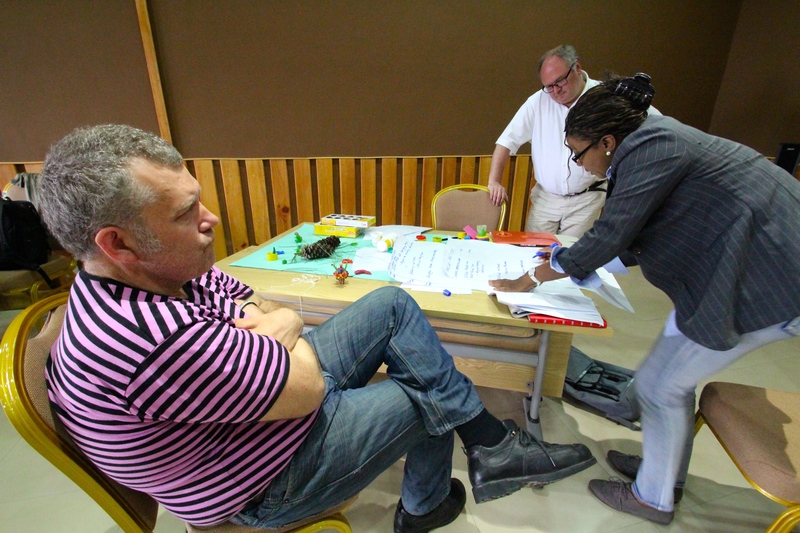 The final day of the program was dedicated to further clarifying the potential prototype projects – goals, partners, gaps and opportunities, identifying possible milestones and ways of documenting these, and also naming what type of support might be required to support the further evolution of such efforts. After exploring how the smaller prototyping groups and the larger group as a whole intend to stay connected going forward, we met in a closing circle to share final reflections on what had shifted for us individually and collectively during the week. Some shared deeply personal reflections, others brought in humor, and we closed with an improvisational violin solo by Lab facilitator Julia Kim. Of course, after a week of intense reflection and collaboration, we had time for a good dinner, dancing and celebration. Stay tuned for updates on the evolving prototypes that are emerging from the Lab.